An experienced basement remodeler will have years of creatively working with these challenges to help you make the basement look exactly the way you want it to. They'll also be familiar with Massachusetts building codes and standards, and they'll be familiar with the best practices in the industry. The environment of a basement requires different building materials than the rest of the home. Unfortunately, general contractors will often still insist on installing drywall for the walls and ceilings while placing a carpet on the floor- just like they do in the rest of the home. This leads to a problem that Total Basement Finishing has seen by the dozens- moldy drywall, sagging ceilings, musty smells, and ruined remodeling jobs installed by well-intentioned general contractors that just don't see the long-term effects of installing with these options. Experienced basement contractors such as Total Basement Finishing will be able to provide you with the lasting solution you're looking for. Using well-insulated, completely organic materials that include a long-lasting written warranty, the basements they install will stay beautiful for many decades, without needing to be refinished. Additionally, general contractors will tightly schedule their work. If they've underestimated the time they need, they may have to return at a later date to complete the job. This leaves the homeowner with a house fill of displaced belongings while they wait for the contractor to return. Lastly, the Small Business Administration reports that 50% of contractors fail within the first year and 96% within the first five years. If you hire a contractor who is not well-established in the industry, there's a solid chance that they won't be in business anymore when you need them. And a warranty can't last if the company is no longer there, right? 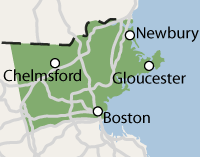 Total Basement Finishing serves Massachusetts in areas surrounding Boston. For a FREE basement finishing quote, call or e-mail us today!